Listed below are links to suggested reading and helps. Pure Life Ministries exists to serve Christian individuals and organizations dealing with sexual sin throughout the world by providing biblically based counseling, teaching resources, and a public speaking ministry with the goal of leading Christians to victory over sexual sin. 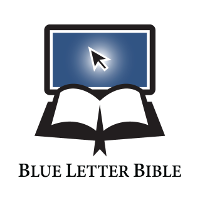 An online searchable Bible, by verse or keyword. Several English translations, plus the Vulgate, and interlinear Hebrew OT and Greek NT. One woman's journey toward becoming a respectful, submissive, joyful wife with a gentle, peaceful and quiet spirit that does not give way to fear. U- Turn For Christ is a residential drug and alcohol program dealing with men and women who are seeking restoration from drug and alcohol addiction, through our Lord Jesus Christ. CARM- the Christian Apologetics Resource Ministry, teaches Christian theology and biblical truth about the basics of Christianity and what sets it apart from other religions. It teaches the Christian to deal with heresy. Calvary Chapel Magazine documents missionaries spreading the Gospel of Jesus Christ throughout the world, to encourage believers to pray, support, and join their efforts. Home School Legal Defense Association is a nonprofit advocacy organization established to defend and advance the constitutional right of parents to direct the education of their children and to protect family freedoms. Calvary Chapel San Gabriel Valley is an affiliate church of Calvary Chapel Costa Mesa. Founded in 1994, Calvary Chapel San Gabriel Valley exists for the purpose of reaching the lost for Christ, teaching God's sheep, and sending out people to preach the gospel throughout the entire world.